Whether you need to dismiss a traffic ticket in Wake or Guilford county or you’re looking to save a little money on your car insurance, this is the course that you need to take. We have partnered with I Drive Safely to offer a quick, convenient and affordable option to meet your North Carolina Traffic School needs. 100% Video - Why Work to Earn Your Certificate? If a judge or district attorney from Guilford or Wake County has offered you the opportunity to go to traffic school, that would certainly be nice. Of course, it would be nicer still if you could skip sitting in that 4-hour traffic school class, wouldn’t it? 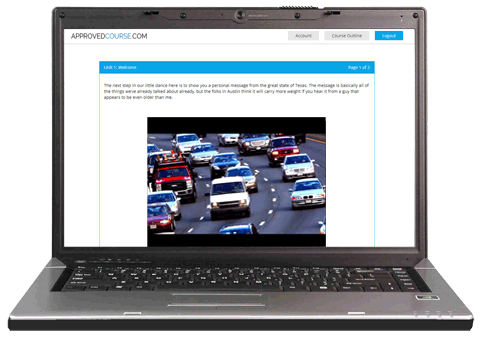 Now you can do just that with our 4-hour traffic school online course. You already do so much from your computer: shop, stream movies, watch cat videos. Why not use it to erase your ticket, too? With online traffic school, it’s easy. Watch the course whenever you want. Log in and out as many times as you like. Watch the course wherever you want. If you’ve got internet, you’ve got a classroom. Whenever you want, wherever you want. Could it be any easier? How Easy is Defensive Driving North Carolina? Read On! The I Drive Safely 4-hour online course is divided into eight short chapters. Every chapter ends with a 10-question, multiple-choice quiz so you can track how well you’re doing and to prepare you to pass the 25-question, multiple-choice final exam. The state requires that you score an 80% or above to receive credit for the course, but our engaging video presentation is sure to help you pass with flying colors! And don't worry if you fall short of that 80% the first time (or the second, third or tenth!). Unlimited retakes make this North Carolina video course a no-lose proposition. What Will I Learn From North Carolina Traffic School? Who is Eligible to Take Defensive Driving North Carolina? Currently, the only drivers automatically eligible for this version of the course are those who have received citations in Guilford County and drivers aged 15-21 who have received citations in Wake County. Drivers who have received tickets in other cities or counties need to receive permission from their court to take our 8-hour North Carolina Defensive Driving Course. Can I Reduce Points with a Defensive Driving Course? Sometimes drivers are curious if they are eligible to remove points from their driving records. If a driver has accumulated 7 or more driving record points, the North Carolina Division of Motor Vehicles (DMV) will be kind enough to notify them and to require the completion of a defensive driving course. With the course, a driver can deduct as many as 3 of those points. If you haven't received a notice but have received a traffic ticket, you may contact your court to ask if they will allow you to dismiss your ticket or reduce points if you agree to take a defensive driving course. Drivers will usually be eligible for point reduction if they hold a valid, non-commercial North Carolina license, the citation received was not alcohol-related and if they haven't taken a defensive driving course within the past 5 years. Approved for Insurance Savings; Wake and Guilford County Ticket dismissal, too!